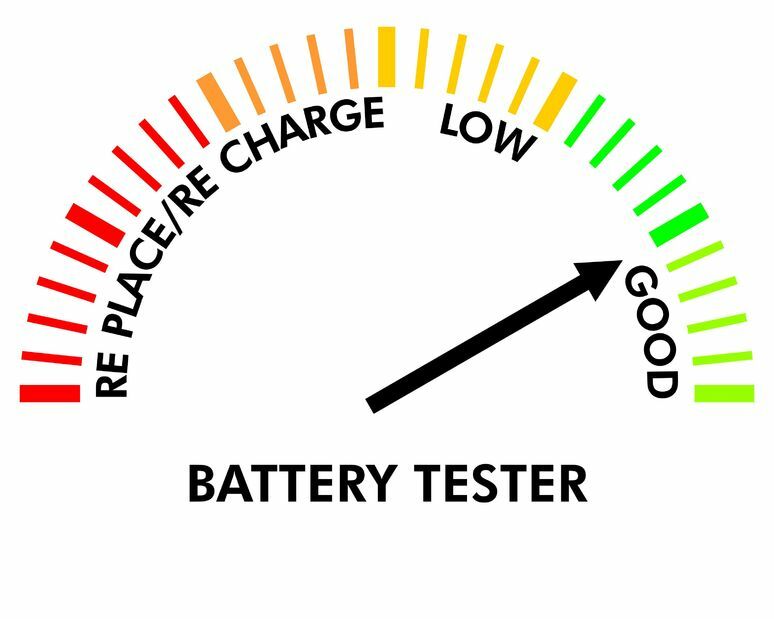 What’s The Battery in Your Business? Sometimes life throws you a curveball. After dropping my daughter off at daycare this morning I jumped back in my car to head to my first meeting of the day and….NOTHING! Hmmm, that’s strange, my car was just working. So I try again. And again. And again. Still to no avail. These are the times you’re glad you have AAA. OK, no problem. Call the dealership to let them know I’m coming. Battery’s covered under warranty. Only a minor nuisance. Let’s get rolling and I can still probably make my first meeting and only be a few minutes late. Pulling off the highway, the car goes dead again. As I coast into the toll booth, I tell the collector that my battery has died. “OK let me help. Let’s see if we can push the car out of the booth.” “Good idea,” I say, “but I can’t get the car out of park.” “Well, I guess I’ll have to close my booth down,” she says. Her manager comes over and asks, “Do you have AAA?” Boy, do I! “We’ll call them for you,” she says. “Is she paying you for this?” the manager jokes since the collector now has an unscheduled break! So what’s my car battery have to do with business? Well I thought a car battery was a pretty good metaphor for the owner of most small businesses. The owners are typically the ones that provide the energy and life to an organization, much in the same way a battery provides that energy and life to a car. What happens if the battery stops working (i.e. if the owner isn’t around)? Is there another battery put in the owner’s place? Wouldn’t it be better if the owner wasn’t the battery at all, but instead the spark plug? That way, once sparked, the organization can continue to run on other batteries. Instead of trying to find another person to act as that battery, how about finding some systems to keep your business running. And by systems, I’m not referring to computers. Systems are things you have and use every day. In fact, you probably even have several systems in your personal life that you’re not even aware of. How about one for brushing your teeth, or your “routine” for getting ready for bed. 1. Pick something easy to get the ball rolling. How about something like making the coffee. How many scoops of coffee do you put in? Is it teaspoons or tablespoons? How many cups of water? Do you use a paper or permanent filter? Who cleans out the pot? Make sure to include all the steps and you’ll start to see how even some of the easiest tasks have multiple steps and multiple ways of doing things. 2. Create a script for how the phone is answered so it is consistent no matter who within your organization answers the phone. Does everybody say your company name the same way or do some people use acronyms or not say the company name at all? Does the person answering the phone tell the caller their name so the caller knows with whom they are speaking? Do they smile when they answer the phone (you know you can hear a smile in someone’s voice over the phone)? 3. Once you’ve gotten a couple of “easy” ones under your belt, how about trying to document how your product or service is produced or delivered? Or maybe outlining customer service? I’ve been on a few customer service calls lately for products I use and I noticed that with both of them, the first thing the operator did was try to empathize with my plight. They both said they were sorry that I was having the troubles I encountered. Strange coincidence, or do both Vonage and AAA have systems for their customer service?!?! Imagine how many different paths there are to choose for some of the more complex activities in your business. Do you want to rely upon each individual to make their own personal choice or would you prefer to have a standard way of doing things? So what’s this all have to do with my car battery dying? How much more energy would you have as a business owner if your were acting as a spark plug instead of the battery? Replacing the battery for your business is not as easy as replacing the battery for my car, particularly when that battery is you!